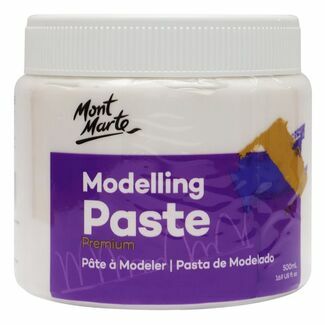 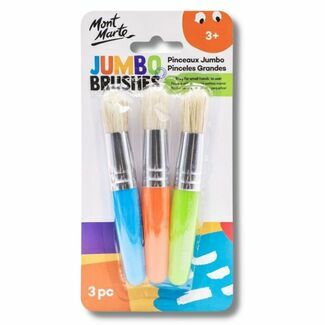 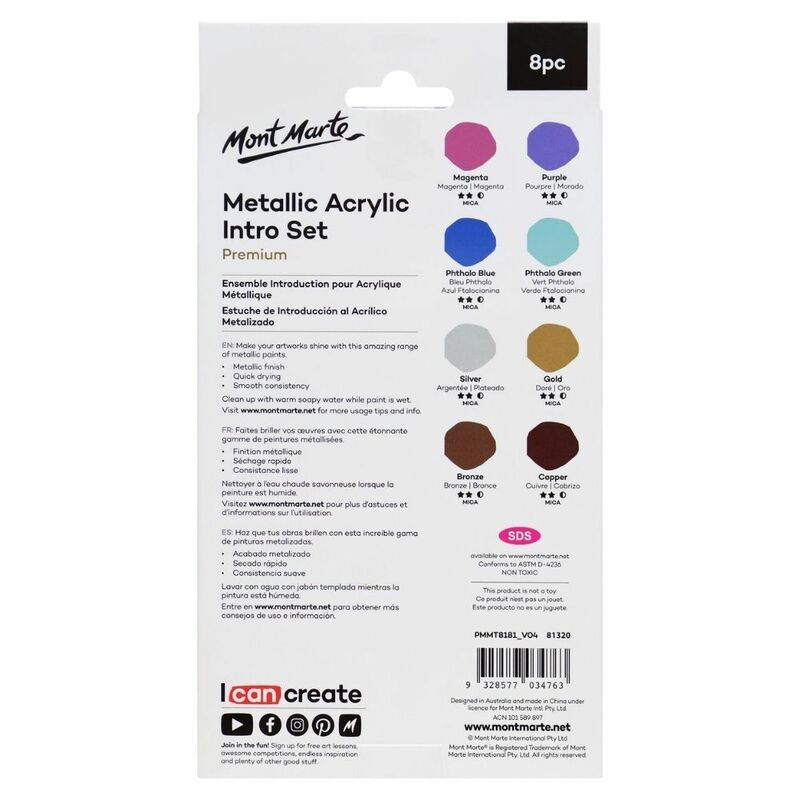 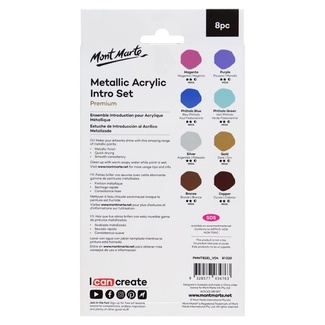 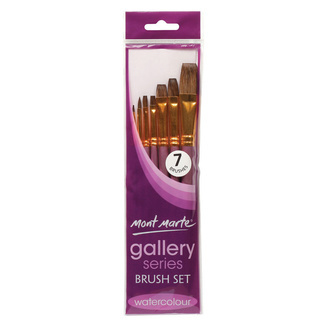 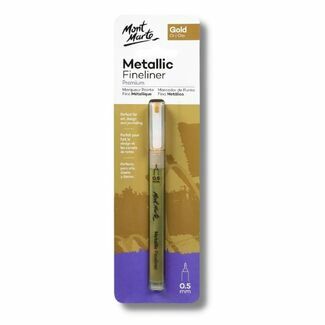 Mont Marte metallic acrylic paints are a great choice for adding shimmer and shine to your art and craft projects. 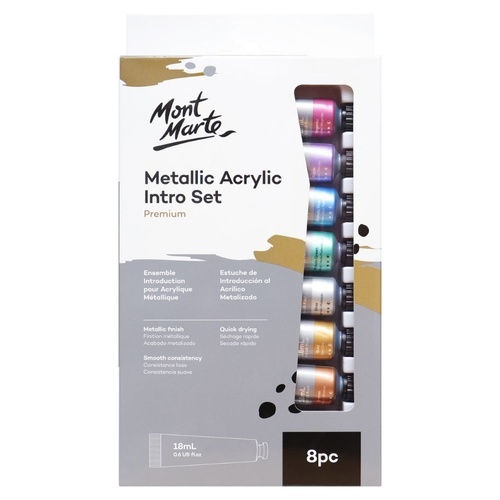 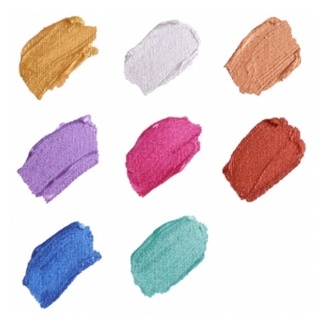 This set of 8 beautiful colours features a luxurious metallic sheen and is suitable for a range of surfaces such as canvas, card and wood. 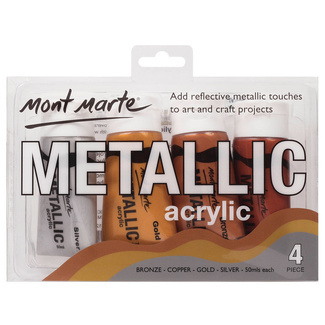 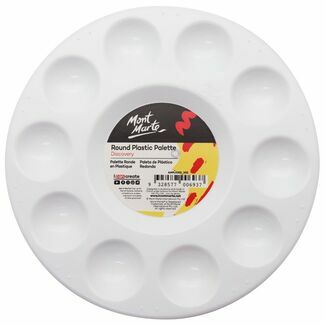 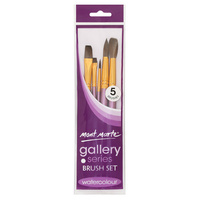 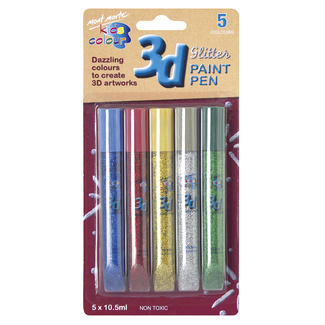 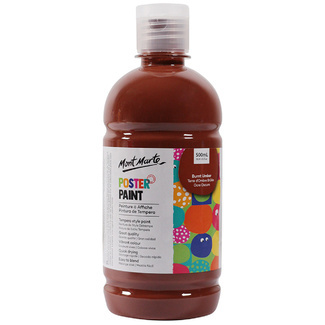 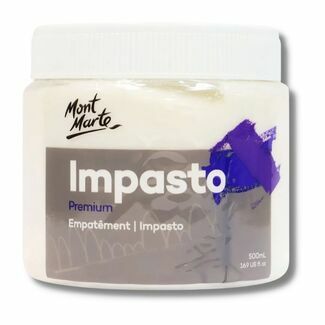 You'll love the smooth consistency and eye-catching finish of these metallic acrylic paints. 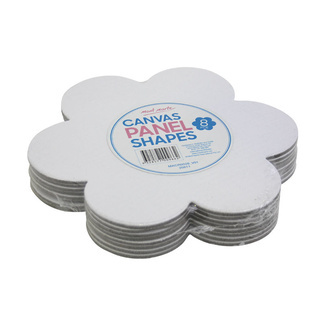 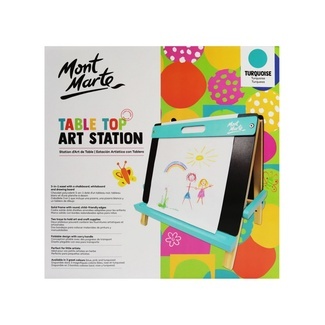 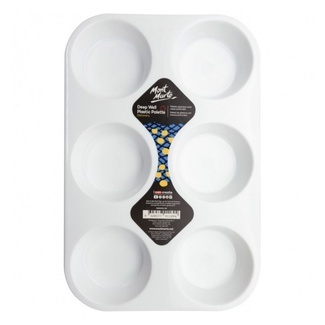 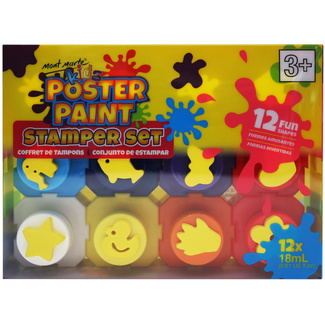 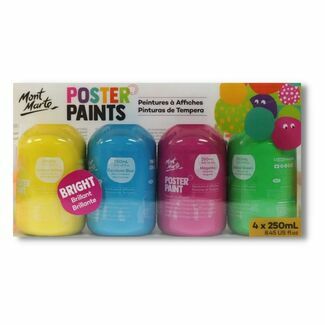 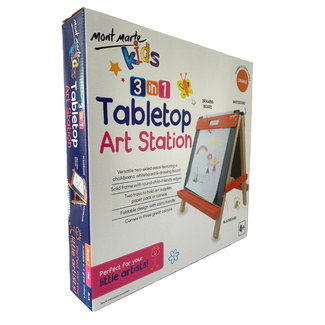 They also offer good coverage and dry quickly, making them suitable for use at home or in the classroom.